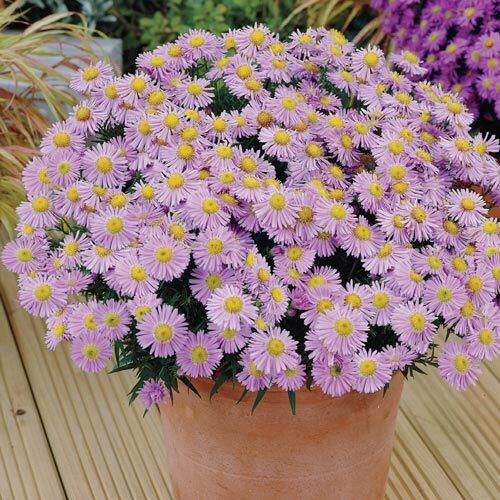 Our specially selected aster varieties have been tested thoroughly to be top performers. Truly low maintenance, these compact cultivars do not require staking. Simply plant as desired and prepare to enjoy the complementary colours well into fall. 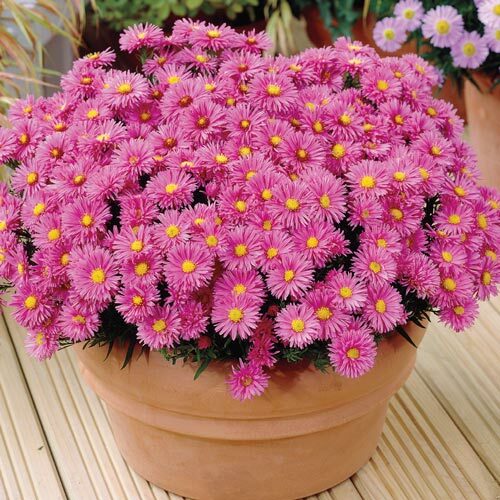 Only Breck's® offers you these vibrant, top-quality Daisy Aster varieties at such an amazing value. Conveniently compact and incredibly adaptable, each variety performs well in conditions ranging from full sun to partial shade. 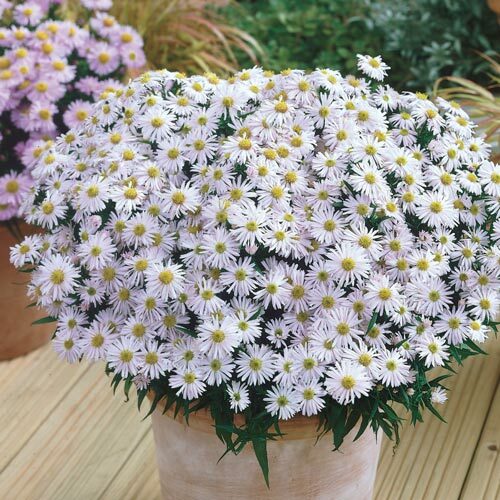 You can even transform these Daisy Asters into a densely flowered ground cover. Breck's Daisy Aster Collection is truly special! No matter where you choose to plant them, we are sure you'll agree there is no better or more beautiful way to extend your gardening season. 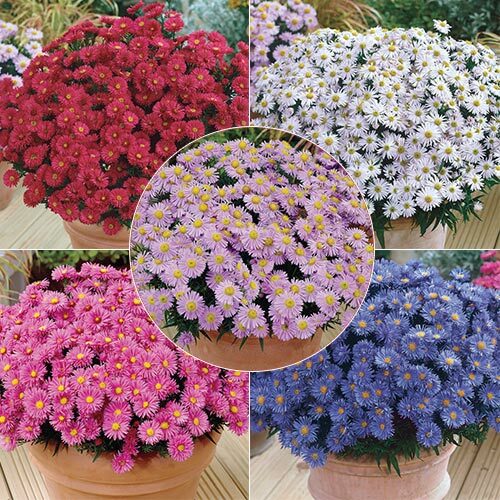 Our special Daisy Aster Collection features bright, colourful varieties that boast large, fluffy floral displays. From late August through October, you will be treated to fantastic fall blooms. You'll also be delighted with an added bonus as the asters' sweet nectar attracts an array of beautiful butterflies to your garden. Add Long- Lasting Colour to Your Garden! This is an exclusive offer available only to Breck's Preferred Customers. It will not be found in stores anywhere. Breck's® Daisy Aster Collection includes two each of five lovely, long-lasting varieties—all offering superb colours throughout late summer and fall. Plant in a Variety of Ways. 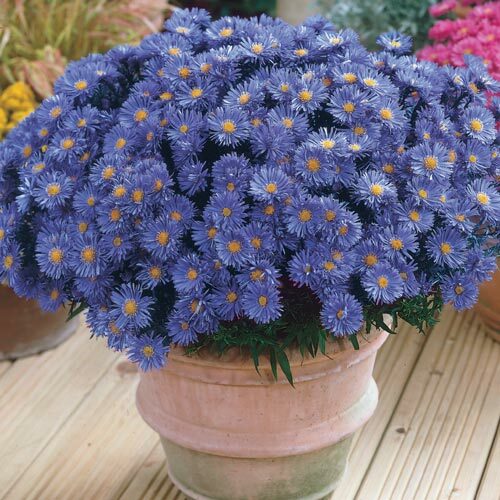 In recent years, asters have grown in popularity to join garden mums and fall pansies as important staples of late-summer and fall gardens. 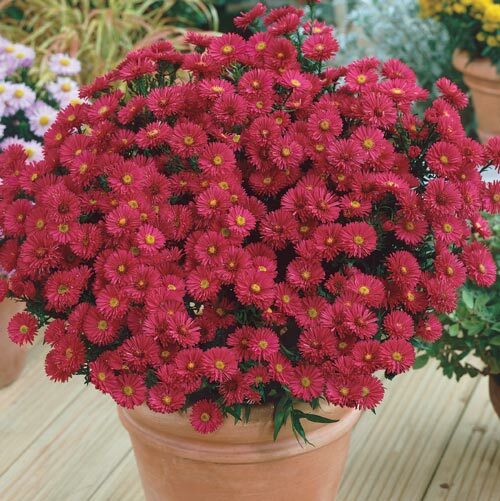 Along with stunning visual appeal, asters provide incredible versatility to gardeners looking to add beautifully unique accents to containers, borders, mass plantings and more. Anneke - Elegant purple-red blooms add a rich, extravagant accent wherever you choose to plant them. Kristina - Delicate white flowers with eye-catching appeal. The simple, understated beauty of white has never looked so good. Marjorie - A pretty treasure bearing pink petals—– perfect to perk up beds, borders or containers. Blue Lagoon - Bright blue blossoms capture the subtle shades of the sea for a truly dazzling floral display. Zwergenhimmel - Light blue-violet blooms add a soft touch, balancing the strong colours of the rest of the collection. You'll delight as its colour deepens throughout the season. Purchased from Brecks few years ago, they came up lovely, changing things around cut them down several times with lawnmower. Next year came up again fuller than ever.